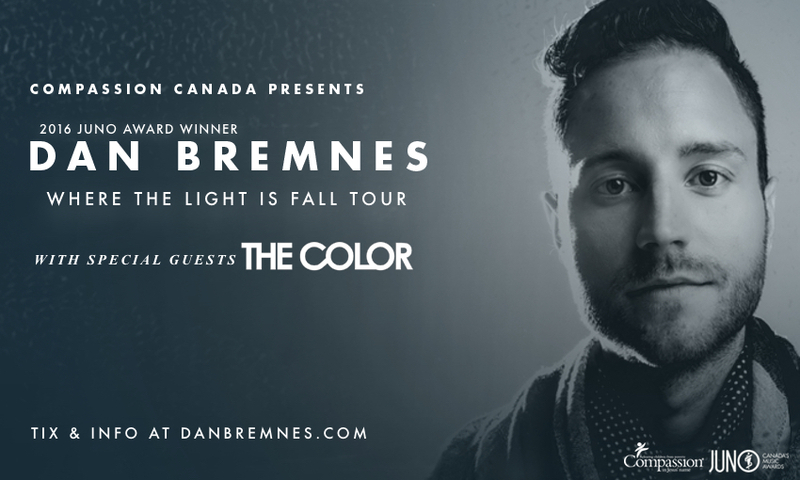 Audiences across Western Canada rejoiced in worship as the Western Canada leg of Dan Bremnes' headline tour, "Where The Light Is" sold over 5000 tickets in 17 dates. This September, join 2016 Juno Award winner and 5-time Covenant Award winner Dan Bremnes as he extends the "Where The Light Is" Tour with 8-dates across Ontario. Joining Dan are 5-time Covenant Award winners The Color. Perfect for the whole family, you don't want to miss this special night of music and worship as two of Canada's brightest stars in Christian music come together to share their hits and join with the church in lifting up the name of Jesus. The tour will be presented by Compassion. Cobourg Alliance Church 1333 Ontario St.